In an effort to support local services to create culturally inclusive environments that are safe and empowering for Aboriginal and Torres Strait Islander peoples, our Health Promotion Team recently held an Aboriginal Small Grants Project information session. 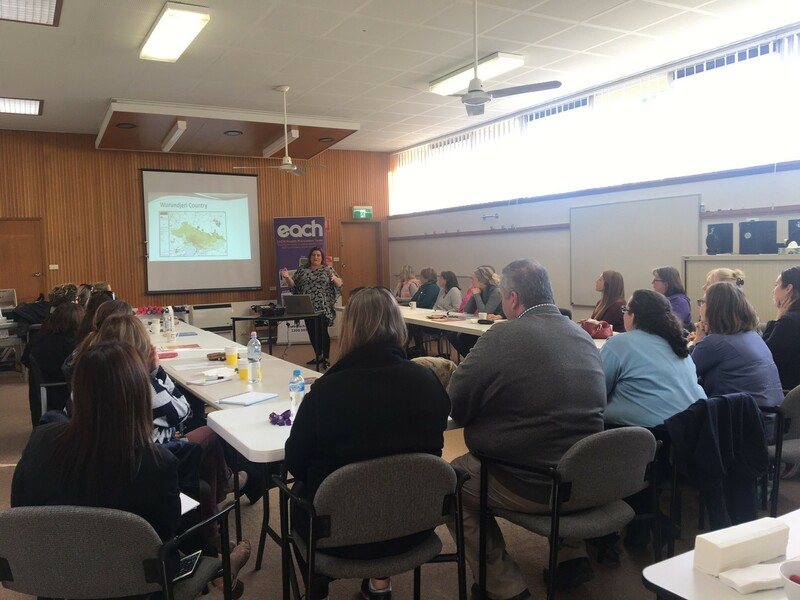 A total of 15 Early Childhood Services, 6 primary schools and 1 high school across Maroondah were successful in receiving the grant, creating a total estimated reach of 3,769 students across the community. Aboriginal Culture is the longest living culture in the world, dating back over 80,000 years and yet it is not uncommon for many people to be uncomfortable or lack confidence in their knowledge or delivery of education around Aboriginal Culture, out of fear of making an error and offending Indigenous Australians. Educators, teachers and professional staff play a vital role in helping children to break down stereotypes and develop an understanding of Australia’s Aboriginal and Torres Strait Islander heritage. Our Health Promotion Team will be conducting an evaluation of The Aboriginal Small Grants Project to establish if there is an increase in student and community awareness as well as an understanding of the rich cultural history of the local Wurundjeri people of this region. Special thanks to our very own Aboriginal Health Promotion Officer, Vanessa Murdoch who commenced the session with an outstanding performance of an Aboriginal song and dance in her traditional language to set the scene, and also to Health Promotion Officer, Catherine Delaney. For further information about the Grants Project or our Health Promotion service, please contact Vanessa Murdoch or Catherine Delaney from our Health Promotion Team on (03) 97576278.